The following blog is one that I wrote awhile ago and just let it sit. The reason for this was simple. I wasn’t and still am not sure how people were going to interpret this blog post. Would the reaction be less than favorable towards me? I have to admit that I was enjoying the peace and quiet, on that front. Yet, I think it still worthy of being said. I know it led me to think about fandom and animosity that can and does crop up in fandom and my role/reaction in those situations as well as how I could do things differently. I hope it does the same for you. This summer, my book club read the book, Odd Girl Out, by Rachel Simmons. The topic was aggression in girls. Obviously, the focus was young girls, usually in the eight to sixteen range. My book club is made up of a bunch of teachers; thus, I assumed that we all thought about how this relates to our experiences in the classroom and how to handle girl aggression. 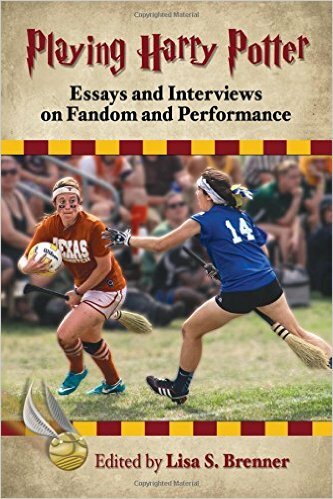 While it did directly relate to teaching and even had sections addressing teachers and schools, I found myself also thinking about fandom. Most specifically, I thought about our fandom, especially since our fandom is made up of mostly females, usually females who became fans during adolescence. Without giving away too much of the book, the basic premise of the book is that girls are taught that relationships are THE most important thing in the world and that the worst thing that could happen is to be alone or isolated. On top of that, girls are also taught that they need to be “nice” and “sweet” in order to get friendships and relationships. Now, when I say taught, I don’t mean explicitly. In fact, what we know, is that there has been a push to change societal expectations of women, and girls growing up know this, too, in a unconscious way. Yet, there is still an overwhelming, yet subtle message about the importance of relationships that overrides any other message out there. How does this manifest itself? Simple. Girls get angry as anyone does. Yet, in order to keep relationships, they don’t directly respond to their anger. Instead, they push their aggression to indirect methods like talking about others, giving the silent treatment, spreading rumors, using people, creating alliances, creating a social hierarchy, etc. This way, they don’t alienate the friend or person they are angry at but they don’t alienate others either. Now, how does this relate to fandom and to our fandom? Assuming the premise of the book is true, do women still repress direct anger and direct confrontation? I would say that we do. (Now, I am sure that there are people out there reading this who are saying, “I don’t. My friends don’t.” Maybe. Obviously, there are always exceptions to the general rule. Also, I’m not talking about this in any sort of accusatory way. I’m speaking in a social scientist way–looking at and analyzing overall patterns of behavior. ) Do we (the female Duranies) then sometimes use indirect methods, like talking about someone, spreading rumors, using others, etc., to express our anger or to shield ourselves from anger? I have seen examples of this. (Again, I’m sure that some of you want to point fingers at someone or even at me. That isn’t what I’m trying to do here. I’m looking at the behavior for a reason—to identify it and make it better.) Have there been fans who have stop talking to each other without telling the other person why? Have people spread information about others that might be deemed, “rumors”? Have fans tried to develop alliances with other fans in order to pick sides in a “silent” fight? I know that we have talked about these types of behaviors many times here on the blog. The author of the book points out that these indirect or alternative aggressions of one person or one group against another is done not only to express one’s anger but also to “damage self-esteem or social status within a group.” (page 21) This really hit home for me. I thought about those people who have commented here or elsewhere about Rhonda and myself or about what we have wrote in such a way that is obviously not to continue the discussion or to make a point, but to do just what the author described. People have commented in ways solely to hurt us. (Before you ask how I know this…simple. Being called every name in the book seems pretty clear to me.) How were these comments given to us or about us? They were done “anonymously” or in secret. According to the author, this means that these commenters could still appear to be “sweet” on the outside so that they could keep their other relationships. It also means that these commenters are never called out on their behavior. When Rhonda and I mentioned something, people would, at times, do exactly what kids at school do to other kids. They might tell us that we shouldn’t let this bother us, that it doesn’t matter. While we know that those people were trying to be helpful, those kind of comments didn’t help much, as the author points out. Those kind of comments don’t validate our hurt feelings, in the way that they should be, according to Simmons. The author also discusses how girls often participate in these indirect aggressions in a group. Why? Simple. No one person is to blame for leading the aggression. If 10 people feel a certain way, it seems more likely to be true or more likely to be reasonable, especially if it against 1 or 2 people who did something that might violate a big rule. Putting this in the fandom world. What if one fan approached a band member’s child in order to get close to the band member? For many fans, this is not what should be done. This type of activity would then allow the rest of the fandom to go after this one fan, for this behavior and any other behavior that was “overlooked” but not forgotten from before. Basically, that females take in each and every little action and behavior from other females and when some sin is committed, all behaviors are addressed because they were never addressed before. Women seemed to ignore what bothered them. In reality, though, many really wait for a chance to express frustration, at a time that the other person seems to “deserve it”. Women let frustrations build up rather than addressing them when they happen, according to the book. Do we see this in fandom? The last part of the book that really spoke to me was the idea that a big sin that is committed is when one person has appeared “all that”, the person appeared to be higher in the social hierarchy than everyone else. This is, particularly a problem, according to the book, when that person became “all that” for not following typical female behaviors. For example, a person may appear “all that” for voicing one’s opinion too much or in a way that directly confronted an issue. Hmm…So, obviously, the reaction of the other females is to pull that person down and to get that person to be quieter, more reserved, more feminine. Again, the author isn’t saying that these behavior are conscious and spoken, but this is how she interprets the behavior and the cause. So, what is the solution? Obviously, females need to be able to directly confront whatever is angering or frustrating them right away, instead of allowing those things to be buried and fester. Then, the question is, can women do that? Can we do that in this fandom? Would that help? I know that one of the things I appreciated about the book was how the author showed how all the girls interviewed could be both victims and bullies–meaning that all females could be guilty of this. Perhaps, acknowledgement of this in fandom would be a good first step. During my winter break, I had some extra time on my hands. One night while flipping through channels I came across a movie, obviously aimed at teens, called Love Wrecked. Now, normally, this wouldn’t have caught my attention except for the fact that the description included how a teen got stranded on an island with her teen idol. Oh boy. Then, I had to watch it. After all, even movies like this can represent fandom. How will it show this teen fan? How will it show the rock star? How would it show the interaction between the teen and the star? Will they be accurate representations or would they be stereotypes? The movie started as you would expect by showing this teen and how she is a fan. How did they show this? Simple. They showed notebooks with “I love you” written on them along with some kisses. Other pieces of merchandise shown included a fan club card, cd covers, concert tickets, posters, pillow cases, etc. I think anyone who is a fan could relate to this. Soon enough, those concert tickets are put to use and we see the teen at the show. She, of course, is screaming, jumping up and down, screaming about how hot the star is, yelling “I love you” and singing along. While that might not be exactly how I am at a a show, I know that it is how plenty of other people are, especially when they were teens. What is amusing is that she is at the show with her friend, who happens to be a guy. His reaction to the whole thing is to ask if she is okay and begging for her to calm down before she injuries herself. How many people who had parents who asked those same questions as a teen at a show or has a significant other who says similar things now? Another interesting scene at the show is when someone the teen knows approaches her to point out that she has better seats. In fact, she states that her seats are SO good that the star, Jason, could sweat on her. How does the teen, Jenny, respond to this? She crowd surfs to get closer. The other teen, Alexis, also joins her crowd surfing solely so that she can push Jenny back. She doesn’t want to give up her better spot. Jenny and her guy friend go to the Caribbean to do some summer work program. Alexis is also there because she had heard that Jason, the rock star, loves this resort. In fact, he soon shows up in all his stereotypical glory with his large entourage and staff, demanding the best suite in the place. Jenny tries to approach Jason, the star, but falls in front of him. Jason makes sure that she is okay and even flirts a little, as rock stars do. This causes Jenny to conclude that he could fall for her if they could really meet. Thus, she works where he is, including on a small boat ride. The ride does not go as planned as there is a storm and the two of them fall overboard with the ship’s raft that takes them to what appears to be an empty island. Jenny isn’t too concerned. Instead, she keeps trying to ask him questions. Meanwhile, the media is freaking out because the star is missing. Soon enough, though, she figures out that the resort is just on the other side of the island. She doesn’t tell Jason, though. She wants them to believe that they are stranded so that he can get to know her and fall in love with her. Jenny walks back to the resort to get the supplies as Jason had hurt his ankle so he couldn’t walk far and she runs into her guy friend. She tells him her plan and her friend responds by asking why she couldn’t have just broken into his hotel room like a normal person. Unfortunately, during this exchange, Alexis saw and followed her back. She acts as if she, too, is stranded. Now, Jason, the star, has two fans after him. The two fans do what we expect them to do. They compete over his attention and also do things to harm the other. Eventually, the truth that they were on the island with the resort comes out. Jason has to decide who he likes out of the two fans while Jenny gets lost during a hurricane and gets rescued by her guy friend. She then decides this real life guy is better than the star. Now, ignoring the quality of the film, which was as you would expect, how was it in terms of stereotypes about fans? I, obviously, expected it to show over the top behavior, which it did. I don’t think that most fans would pretend to be stranded on an island for days in order to get the star. I don’t think that most fans would crowd surf just to get better seats or to stop someone from getting better seats. That said, the competition between fans is something that does happen between fans. I have seen people brag about their better seats, consciously or unconsciously. I have also seen and heard of fans who will try anything to get attention of the celebrity of choice. Jenny’s guy friend’s reaction about not understanding her reaction and fandom is also something that happens on a regular basis. Likewise, the lesson appears to be that real life is better than the fantasy of fandom, which always makes me uncomfortable because there is nothing wrong with being a fan. Thus, while the movie was filled with stereotypes and some uncomfortable conclusions, some of these stereotypes and elements are based on true elements of fandom. Ugh.